hey ppls. 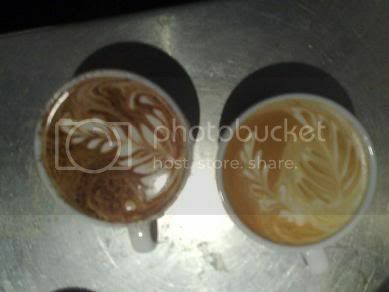 wondering if theres any tricks to pouring multiple rosettas. i can get them in there but the 2nd always manipulates the 1st a little more than i'd like. is this just the way it is or is there something i don't know??? It is inevitable to some point, but can be managed. For example, there is no point trying to make the first rosetta big and wide with huge 'wings', you want to try and and keep all the rosetta's (however many your aiming at pouring in the cup) of a consistent size, which will usually be fairly thin. You want to try and get that first rosetta poured as soon as possible, which is only possible by getting the spout of the jug as close to the surface of the milk/coffee as quickly as possible. This is where cup and jug preference will make a difference. Angle the cup slightly towards yourself and pour the first rosetta. As soon as it's complete angle the cup (slightly) in the other direction and pour the second. Your wrist movements (of the hand pouring the rosetta) will need to be very intentional but still relaxed. When starting off, don't worry too much filling the latte all the way to the top of the cup, focus on getting those rosetta's into the cup and looking nice. You can adjust your technique later to compensate for different cup sizes. man... I have to start honing my technique - I have to say that my latte art leaves a lot to be desired! I'm usually content to pour down the side of the glass to build a spiral pattern, but that's about the extent of it! "The crema which dissipates is not the lasting crema..."
thanks heaps man can't wait to get back to work an keep practising! also i was trying to put up a pic of my attempts but am unsure of how to. do i just have to put somewhere else on the web an create a link or can i put it in the forum?? Top effort, those are looking good. With the double (on the right), try and pour that first rosetta nice and thin. Pour slower and with greater intention. 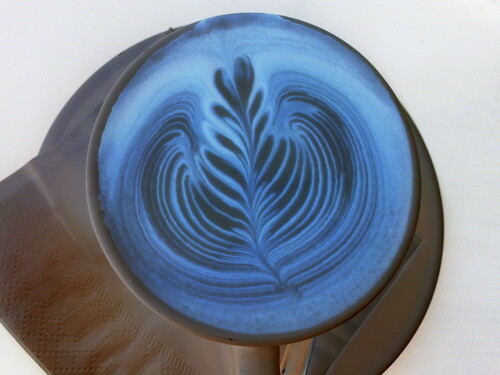 Try pouring the first rosetta on one side of the cup, the second on the opposite side and the third in the middle. It is possible to avoid the second rosetta pulling the first and the third pulling the second etc. It is all in the timing, pouring too quick and they will pull, pouring too slow and the milk will become too thick, some where in between these you can pour at a speed which allows the milk to thicken to just the right amount so that you can keep pouring rosettas and they don't pull at each other. Exactly what this speed looks like unfortunately just takes trial and error. Pour a coffee with 3 rosettas and if they pull do it again slowing down a tad if they still pull slow down a tad more and so on and so forth. I hope this helps a little? Started by Seeya Latte Classified - Members WTB, For Sale or Free to a Good Home.